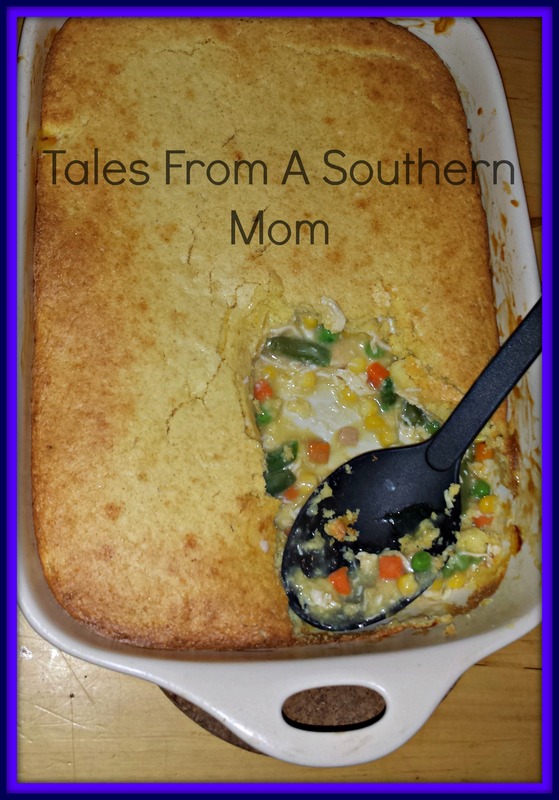 Home / Recipes / 30 Minute Meals / Quick Comfort Food! Chicken Pot Pie! Quick Comfort Food! Chicken Pot Pie! Preheat oven to 400 degrees. Mix chicken, veggies, and soup in a 13X9 dish. In a seperate bowl make cornbread mix as directed on the package. Spread the batter over the top of the chicken mixture and bake until cornbread is done. When I do this I start at the sides and let the batter kind of fill in at the middle points. It prevents the middle from being under cooked. Serve with a salad, some fresh fruit! Dinner is DONE!